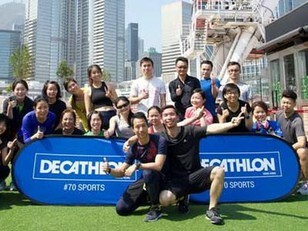 Join Decathlon for this introduction to basic frisbee skills with cross training sessions in between! This session aims to promote healthy lifestyle by combining a fun game and fitness together. 1. Andy Chung, Chi Wai, a Mormon Games instructor and resistance trainer. 7 years in rugby coaching. Full marathon finisher. Spartan Race (Super division) finisher and Oxfarm Trailwalker finisher. Over 10 years Disciplined Services experience and practice fitness for many years.